Smart phones may be the ubiquitous device of the 21st century. People understandably desire them for their convenience and portability. However, sometimes, the screen is too small for its users. 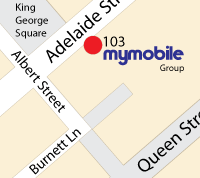 Cheap tablets in Australia from MyMobile help address that issue at prices you’ll love. Tablets are not as portable as smart phones, but they are just as useful, if not more. Their screen sizes are bigger than phones, generally ranging from 7 inches to 10 inches. The larger screen time makes them ideal for reading websites, .PDF files, and other forms of print media. When you plan to buy Samsung tablets in Australia, you want to know that you are getting a great product at an excellent price. Our inventory includes Galaxy Tabs from every series, including A, J, and S. We offer colour selections of black, white, and gold, among other options. In addition to screen size and colour, memory space is also a consideration when you want to buy tablets in Australia. We offer tablets starting with 8GB of memory and go all the way to 64GB to accommodate your storage needs. They also have SD slots for increased memory capacity. Why Buy Samsung Tablets in Australia? Tablets are not as portable as smart phones, but they can perform all similar tasks and generally offer more processing power. When you buy tablets in Australia, you need to think about how you will use it. Will it be as a backup device for when your phone needs charging? Will you use its larger screen for watching videos? Once you have answered these questions, you can choose from the many cheap tablets we have for sale in Australia. Sound consideration is another important consideration when purchasing a tablet, and cheap Samsung tablets in Australia offer an excellent listening experience. Some units have front facing speakers, while others have speakers in the back. When you buy Samsung Tablets in Australia, you can trust that you are getting a reliable product from a brand you can trust. Samsung is known for its sturdy construction and fast processing power, and their cheap tablets for sale in Australia are no different. When you buy tablets in Australia from us, you will pay the lowest possible price while still getting the quality device you expect. We sell tablets ranging from $160 to over $800 to ensure you will be able to find the device that best suits your needs and budget. You can surf the web on these devices, watch videos, and use them for work. Our Samsung tablets in Australia have the power and capability to help you manage work projects, send email, hold video calls, and more. If you are looking for a great product that falls between a mobile phone and a laptop, then a tablet from our fine online store is what you need. When you purchase from MyMobile, you get friendly customer service that will address issues and concerns you may have with your new device. Plus, you get free shipping on all orders over $100, making us the right place to buy a new tablet in Australia.